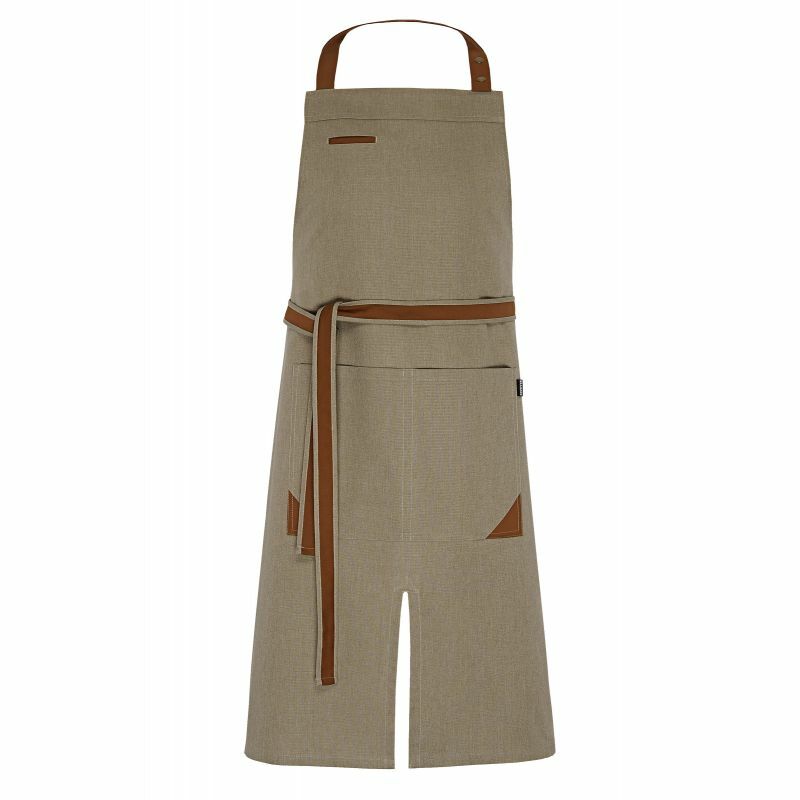 Bib apron. Contrasting neck plait, adjustable with 2 press-studs. 1 large central pocket. 1 pocket at the bib. 1 slit at centre front. Copyrighted pattern. H. 95cm x L. 100 cm. 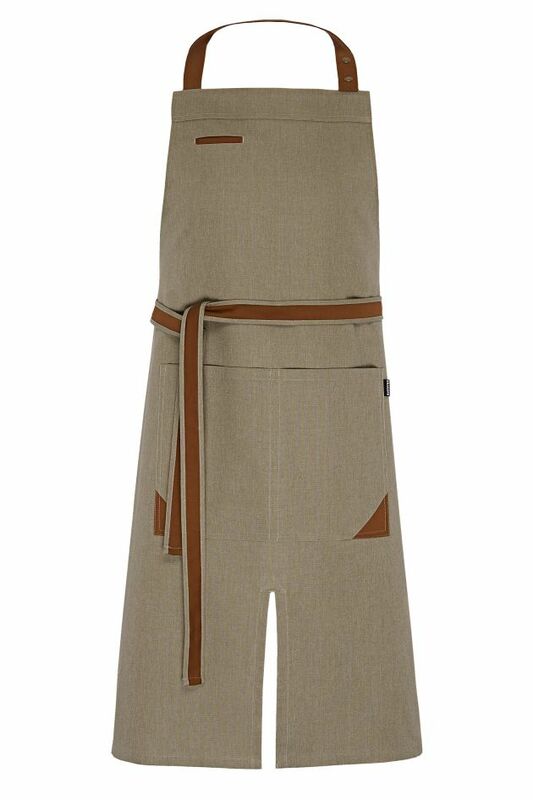 65% cotton, 35% polyester, taupe.